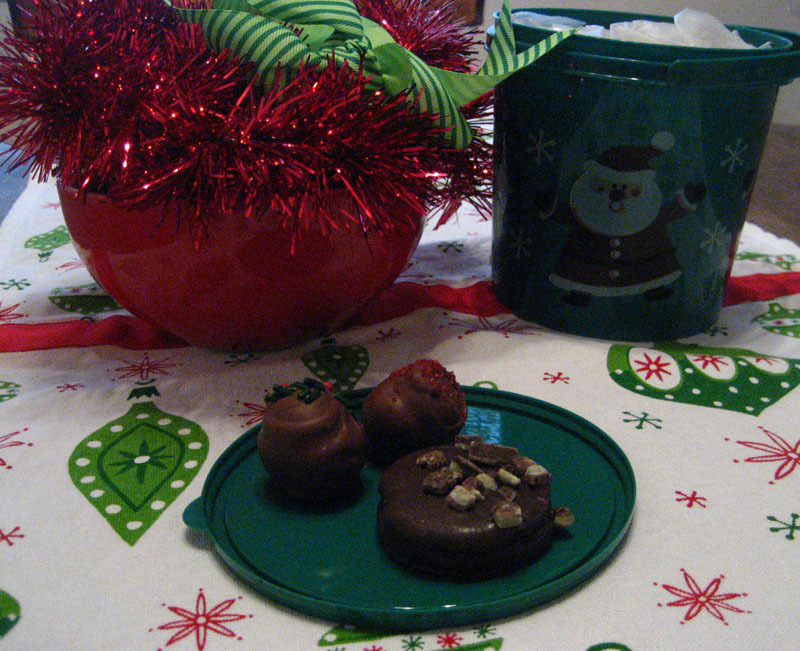 Last week, my friends and I had our cookie swap and one girl made Oreo balls, which was a new and delicious stand-out in the feast of treats! Turns out they are very simple to make. Using a blender or hand mixer, mix cream cheese and crushed Oreos together until well blended. Roll into walnut size balls. Chill for 1-2 hours. Next, melt semi-sweet morsels in a double boiler or in the microwave. Using a toothpick, dip Oreo balls completely into melted chocolate. Place on wax paper. After they harden, keep in fridge. Makes about 3 or 4 dozen Oreo Balls, depending on the size.